In many ways, working on a construction site, manufacturing line, or in the service/maintenance sector can mean your shift feels a lot like a hike in the woods (or, maybe not as enjoyable, but stay with us...). There’s uneven terrain to tackle, obstacles in your ... (see full details) (see specifications) #1014605. In many ways, working on a construction site, manufacturing line, or in the service/maintenance sector can mean your shift feels a lot like a hike in the woods (or, maybe not as enjoyable, but stay with us...). There’s uneven terrain to tackle, obstacles in your way, weather that impacts your footing and your paths, all while you clock enough miles to really leave you gassed at the end of the day. If that sounds like your typical work day, then you want these KEEN Utility Men’s 1014605 Grey Braddock Waterproof EH Mid Hikers on your feet. 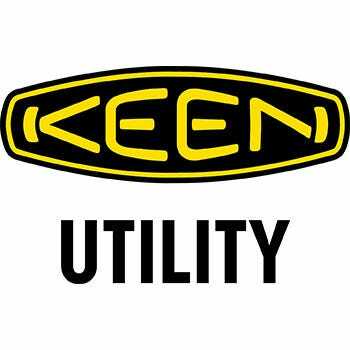 KEEN Utility knows hiking - they’re pretty famous for it. So when they make heavy-duty waterproof men's hikers with safety features built right in to help you get through your day, you can trust that they mean what they say. Inside, KEEN Utility's famous comfort will really prove why this company is so well loved in the hiking industry. The hydrophobic/hydrophilic 2-zone comfort technology of the linings draws sweat vapors away from your skin and then evaporates them to keep your feet dry. The removable metatomical dual-density EVA footbeds are contoured to fit your feet with direct arch support and integrated heel cushions for the most spring in each step. The direct attach PU midsoles are flexible and soft and work to reduce the amount of shock your feet feel with each step you take. This means more stamina at the end of the day and less stress on your feet. The slip- and oil-resistant non-marking rubber outsoles meet ASTM F1677-96 Mark II non-slip testing standards and ASTM F2892-11 EH standards. Please note, these men’s hikers are not compatible with aftermarket insoles or orthotics. These grey Braddock mid hiker boots are designed to reduce the weight on your feet to reduce the stress on your knees and back. The lightweight waterproof Nubuck leather uppers are durable enough for all of your hard jobs and will keep your feet dry. The KEEN.Dry waterproof membranes allow vapors from sweat feet to escape while preventing any kind of external moisture from coming in, so your feet are comfortable in various temperatures and conditions. The Patented KEEN.Protect Toe Protection that's a signature style of KEEN Utility shoes everywhere enhances the lifespan of your EH men's boots with added durability in this high-wear toe area. Padded collars and tongues ensure a comfortable fit around your ankles with these 6-inch hikers, and the non-metallic hardware makes for completely metal-free lightweight boots, ideal for those who work in secured environments as these will not set off metal detectors. Even the TPU stability shanks, which stabilize your steps and provide support from the bottom up, are made from a flexible non-metallic material. So when your day really feels like a hike, meet the challenge with these KEEN Utility Men’s 1014605 Grey Braddock Waterproof Mid EH Hikers from Working Person's Store. Trail ready, but built for tough work, these lightweight waterproof work boots will keep you moving comfortably all day. KEEN Utility Boots: Men's 1014605 Grey Waterproof EH Braddock Mid Hikers is being added to your cart.